We welcomed in alumni and community members for a mass and reception. On Tuesday, November 13th, we gathered to pray for our Veterans at Mass. We remembered all who have served in the armed forces, in particular, those who have died in active military service. View the presentation of our Lancer Veterans here. 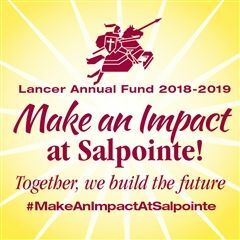 If you would like to add a Lancer to our record of Veterans, please contact Lisa Astrouski at lastrouski@salpointe.org.